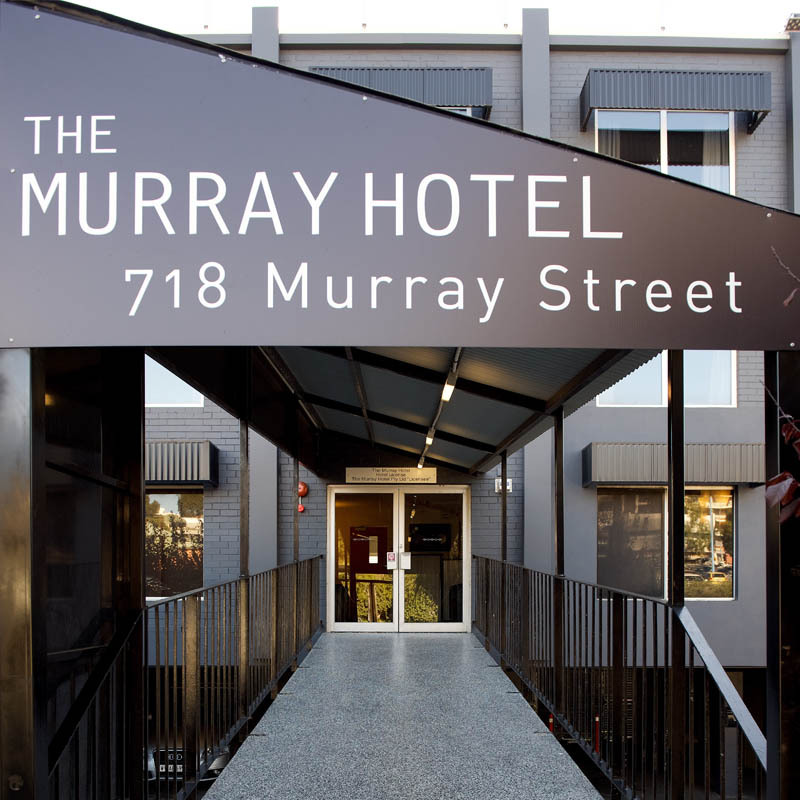 The Murray Hotel is a friendly welcoming 30 room hotel in West Perth offering clean comfortable accommodation at a low price. 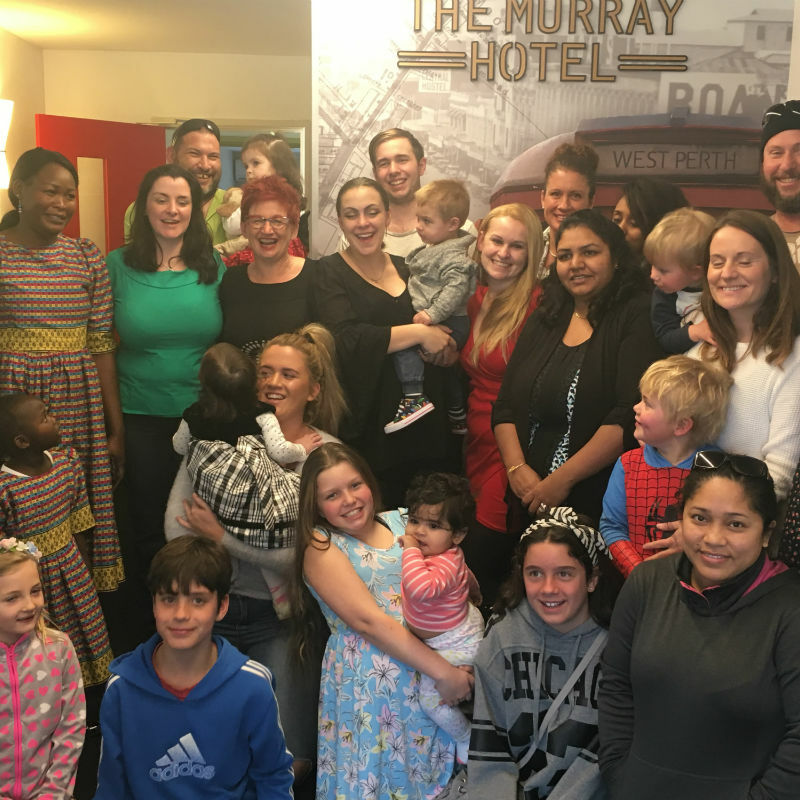 The Murray Hotel has excellent customer service and with their restaurant, bar & room service creates a “home away from home” vibe. 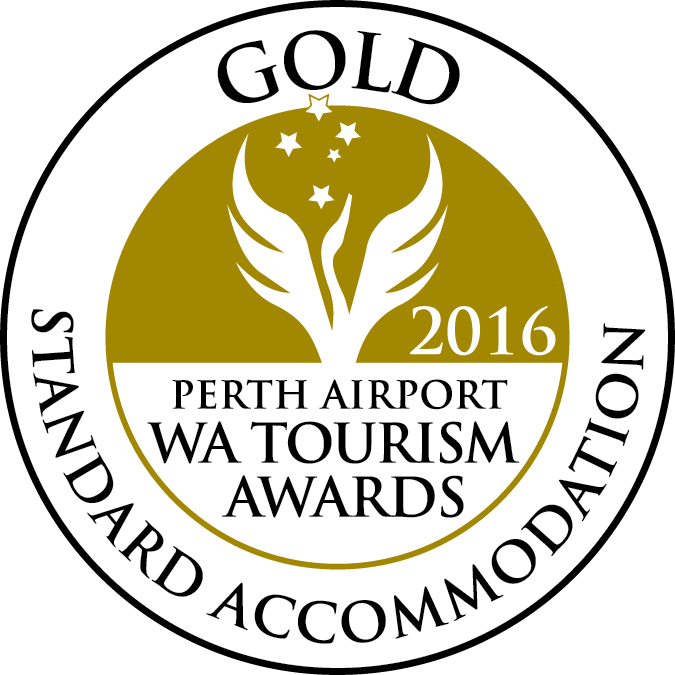 Let us look after you when you stay in Perth. Single or couple? 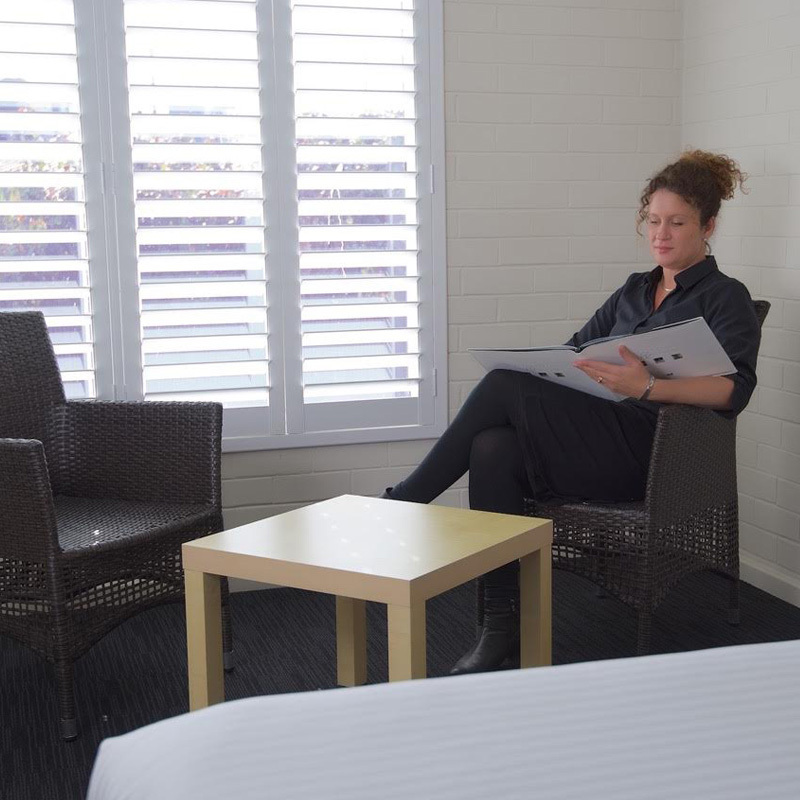 Our King room price includes a king bed, Breakfast, WiFi and Parking. Family of 4? Our King Twin includes a king bed & two single beds, Breakfast, WiFi and Parking. 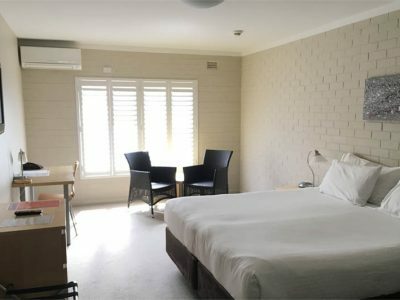 Comfortable hotel room for 1 to 5 guests, price includes Breakfast, WiFi and Parking. 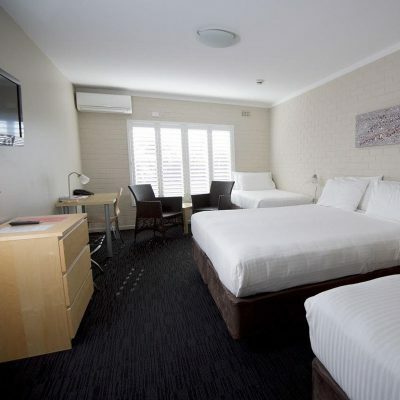 The Murray Hotel is the perfect position for your Perth trip; close to the businesses, hospitals and medical practices of West Perth, Subiaco & Nedlands and a free Yellow Cat bus stops outside the hotel to take you to Watertown shopping, Perth Arena, CBD & Perth Convention Centre, Northbridge & Elizabeth Quay. From the hotel it is only a short walk to City West Train Station where you ride for free to all the Perth Stadium events. 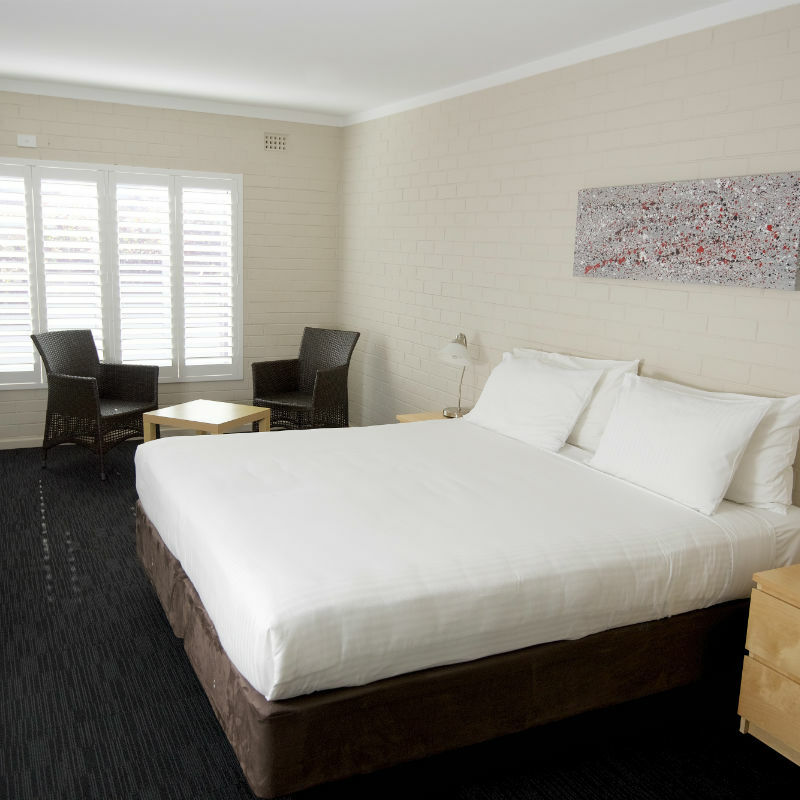 From the hotel it’s a short walk to Kings Park & The War Memorial, Subiaco, Leederville & Domain Stadium. The hotel is easy to access from the freeway and there’s plenty of free parking or it’s a 20 minute taxi ride from the airport. We recently stayed at your motel for a week, as our little baby boy was in PMH. It was the best motel that we have stayed in, and if we ever can afford it we will defiantly stay with you again, as it was a very helpful friendly place, and all the staff were lovely! Hope to visit you again! We did enjoy our stay with you. My friend was impressed with the up market touches; iron & ironing board, hair drier, FREE wireless connection for her computer. Everything was spotlessly clean. I was unprepared to not have a lift, so didn't ask for a room on a low floor. Your hotel will certainly benefit from the renovation planned with a lift put in. You certainly will be successful due to your location and I will certainly consider staying with you again. Came for a very short visit to see a concert at Perth Arena. Lovely little hotel. 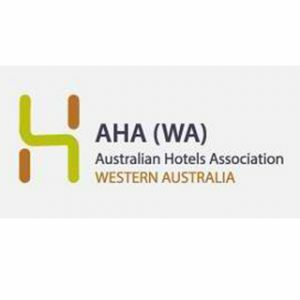 Clean comfortable rooms, good food, very nice staff only too happy to help. Free inner city bus service right outside the hotel allows you to see the city on 4 colored lines running frequently. What a great idea for any city to keep traffic levels down. Location of hotel is very handy to restaurants and bars by walking if you choose. Perth is a lovely city to visit but will be really special when it's finished. Another stay, two visits this trip with great service once again - thank you to all the staff for making our stay so good. After a month of travelling and staying in several hotels it was a great relief to come back to the friendly and accommodating Murray Hotel. The bed was super comfy and the room quiet. We had a great nights sleep - only wished we were there longer ... maybe next time! My time at your lodging was short however I found the service and friendly staff top shelf. I do thank you for making my time there so welcoming and I will be returning very soon. 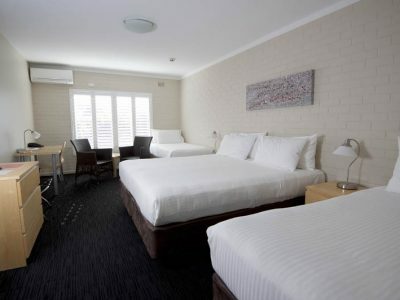 Couldn't be more happier about the cost quality and location of this hotel, close to the city and Subiaco. 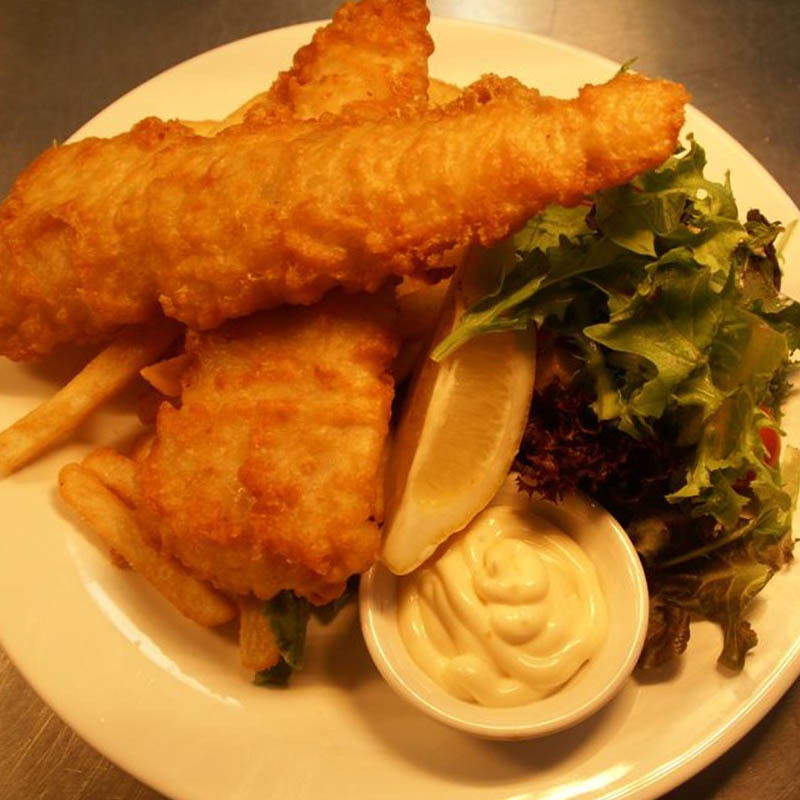 Plenty of footy fan base themselves here, just for the location close to Footy oval ( Pattison Stadium). This hotel modestly price, definitely in the above average grade of hotel for city location. I will be back...we stay for the Julia Morris show at the Regal Theatre. Thank you! Rooms are clean, comfy and equipped with free wifi. The location is not too far from city, and most importantly it has a CAT stop just right at the doorstep! 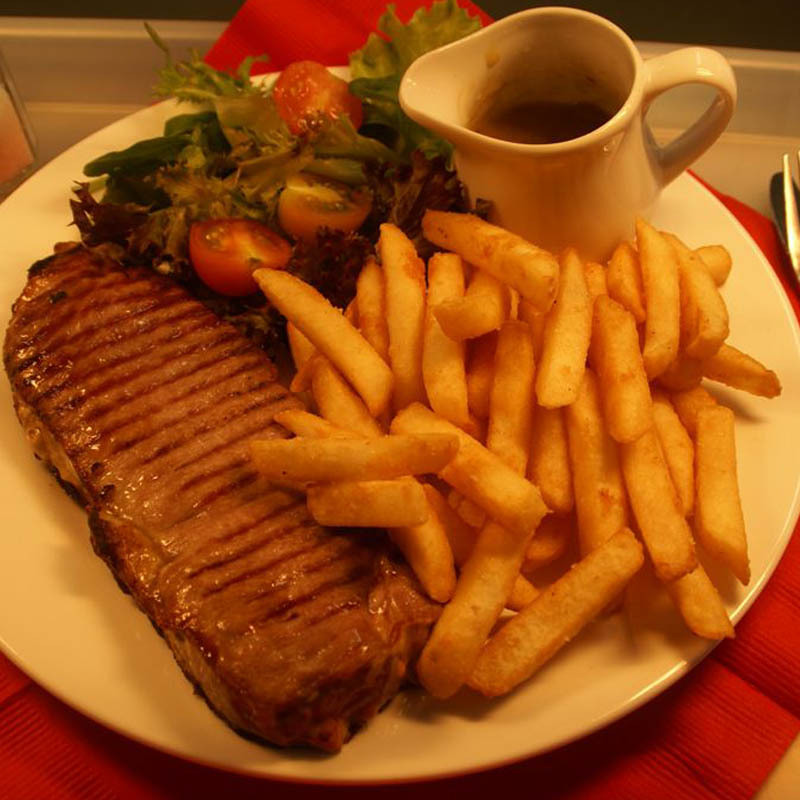 Staffs are helpful and friendly, and they serve tasty dinner too! 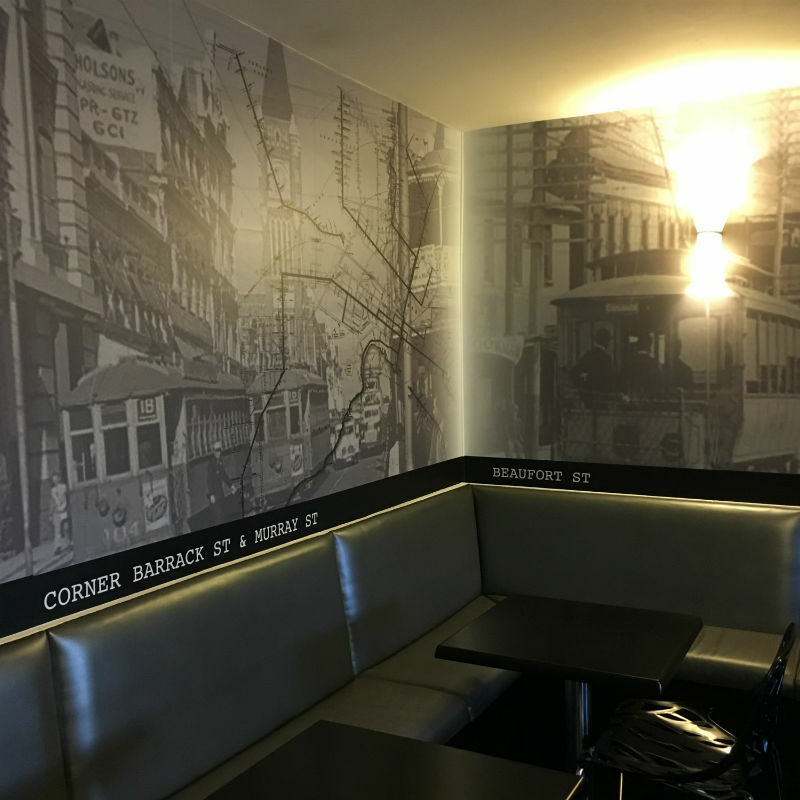 I thought The Murray Hotel Perth was perfect for our four-day stay in Perth. The rooms were clean and comfortable and had everything we needed. We did not find it noisy even though it is near a busy road. The Yellow CAT is right outside the Hotel's door and we made use of it every day. We had hired a car, but hardly used it, as the free buses (Yellow, Red, Green, Blue and Red) were so convenient for getting around the city. Parking was free which was one of the reasons we chose The Murray. 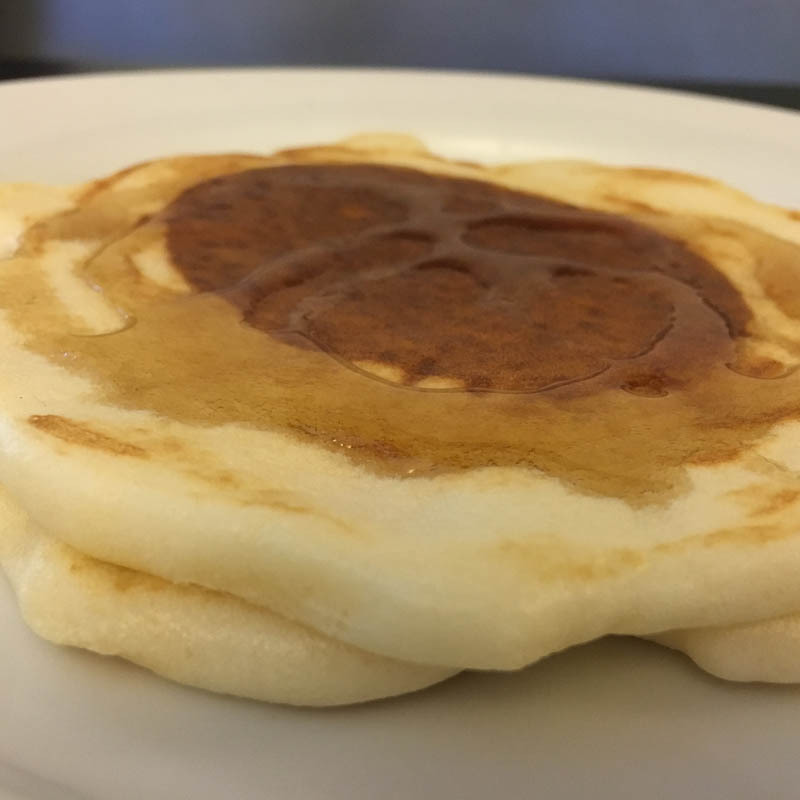 We enjoyed the complimentary continental breakfast every morning in the Hotel, especially the delicious pancakes made on the amazing pancake machine! 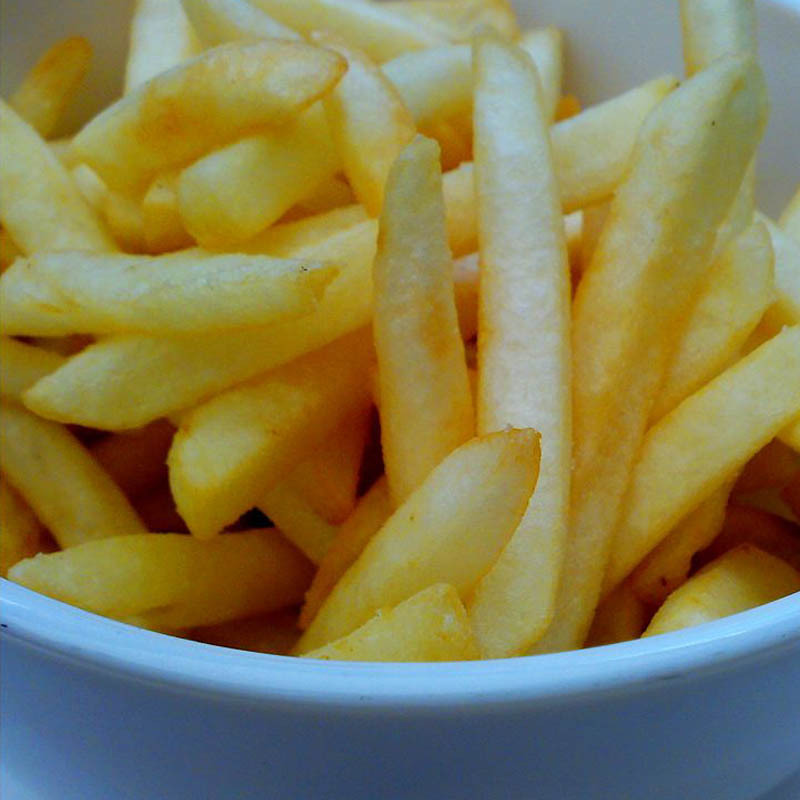 You could eat as little or as much as you liked and it was all you needed to start your day. We ate dinner there most nights and while the menu is not extensive, it was adequate. The Hotel also offers a free beer or wine in the evening during their Happy Hour. We were more than happy with our choice of accommodation. We chose the Murray because it was closest hotel to the venue we attended. I must say that the hotel had everything that we needed and was clean and comfortable and surprisingly had some facilities that I did not expect. 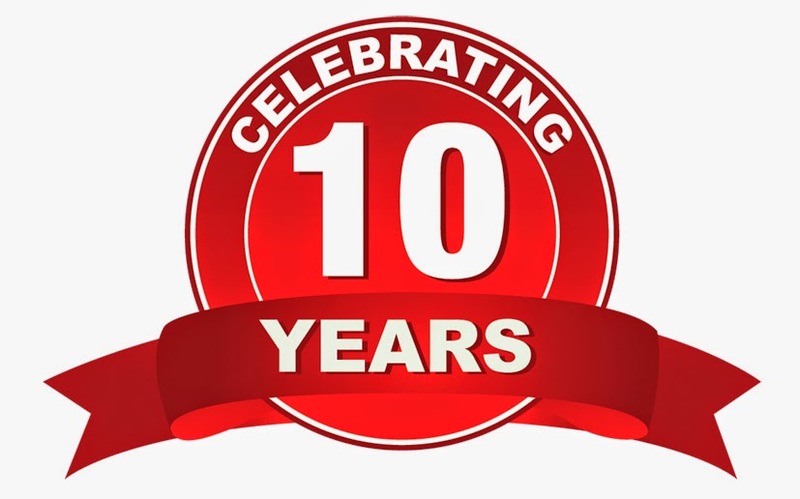 What I was really impressed with was the customer service from your staff, they were absolutely amazing - best customer service I have received by far even when compared to 5 star hotels that we have stayed in. If we need future accommodation we would certainly book direct and would recommend your hotel to friends. Thank you. We always stay at Murray Street as it is convenient for us and I think your new pancake machine is great. I appreciated the hospitality and the efficient and pleasant manner you demonstrated from the check in to organising a cab. We were made to feel very welcome during our visit over the New Year. Excellent spacious room overlooking the pool. 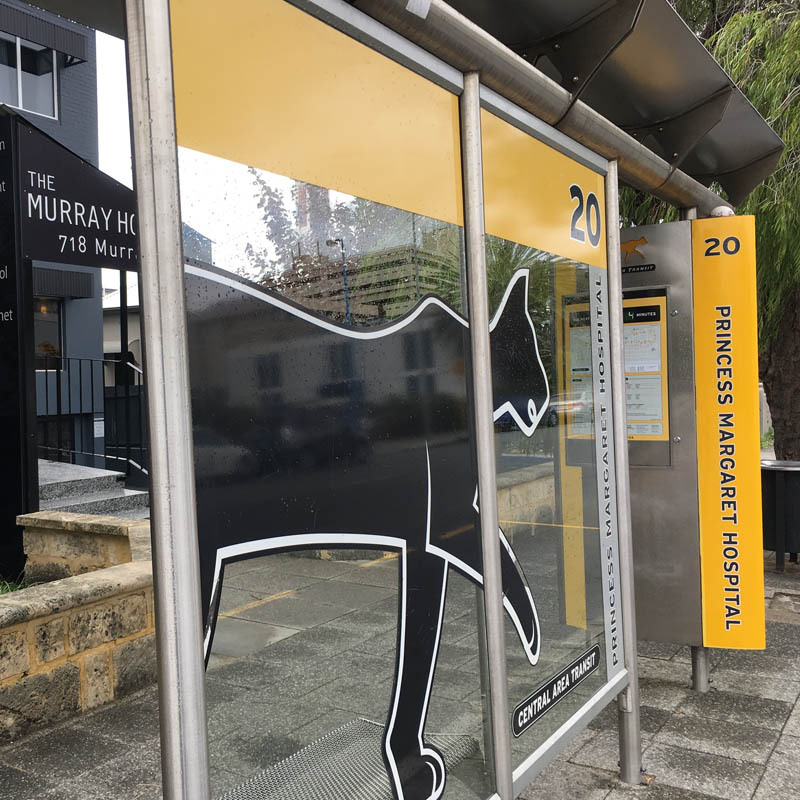 Free CAT bus to centre of Perth from outside the front door was most useful and reliable. We appreciated the delicious biscuits with the tea and coffee in our room, as well as the chips in the restaurant! We will be back!! Family overnight stay. Room was clean, spacious, wasn't as noisy as we thought it'll be. Stayed on the ground level which was very convenient for our little toddlers pram. 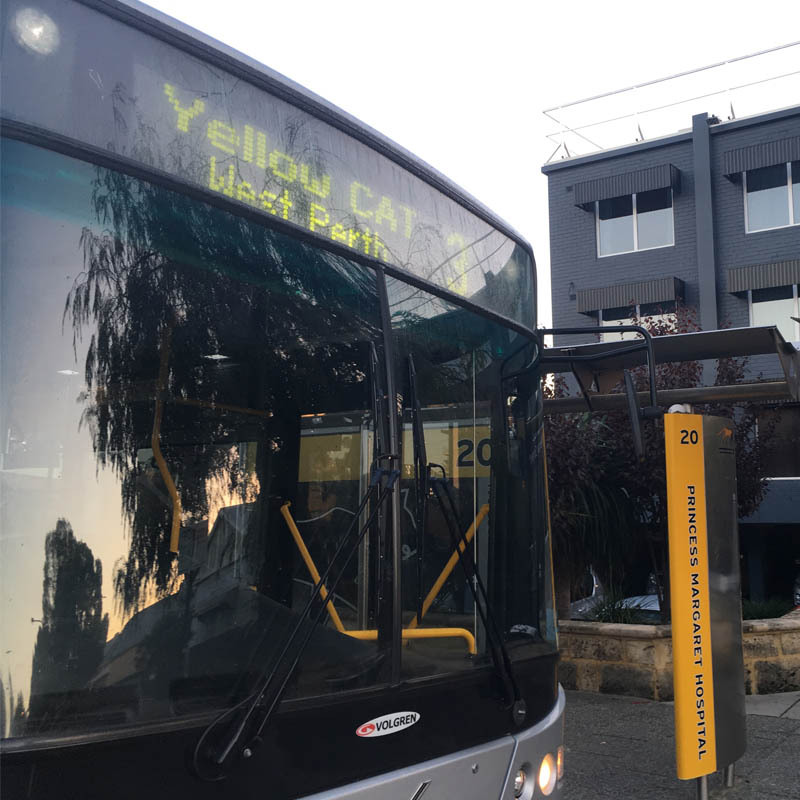 Yellow cat bus was great for travelling to CBD. Breakfast was fantastic. Well worth every $ will come back again for sure. 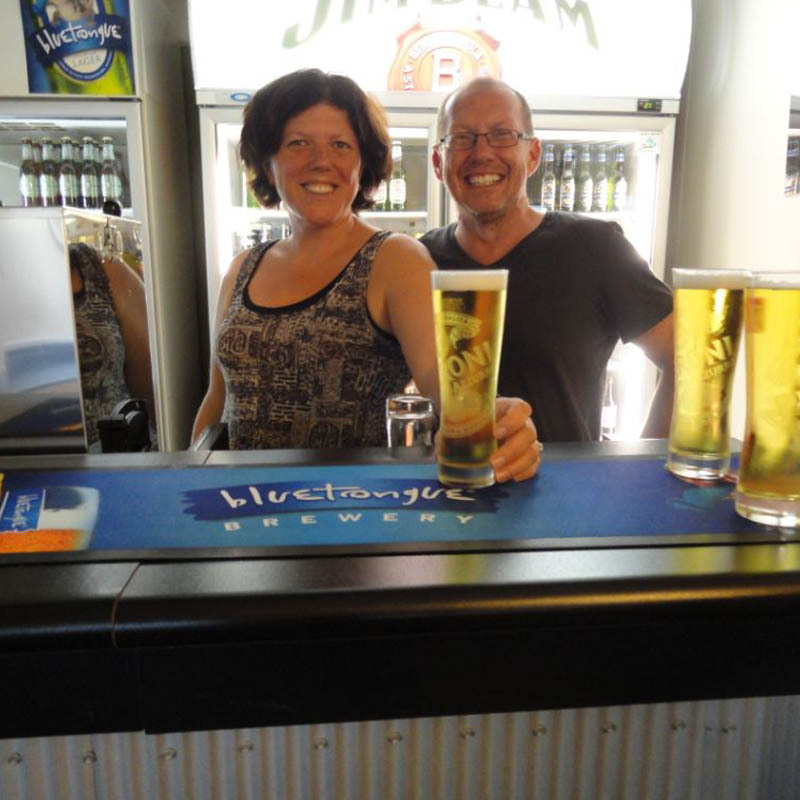 As a regular customer at the Murray, I never fill out the form and tell you what I think, but would like to let you know that your staff are so welcoming and know me by name now and go out of their way to help me with anything I need. I was needing one night on short notice a month or so ago and you had a full house but put me on the cancellation list and managed to fit me in which was fantastic. I wouldn't stay anywhere else. Check in and out was fast and staff are very friendly. 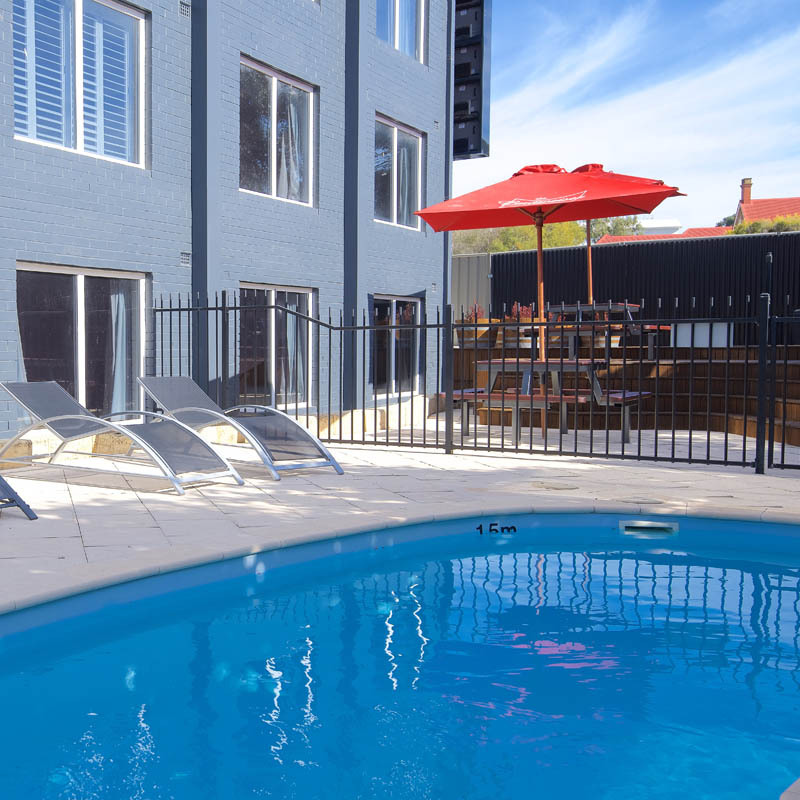 Well located to Perth CBD (CAT bus stop outside hotel), Subiaco and West Perth. Room is clean and spacious - fast WiFi. Breakfast was simple but adequate. Parking can be an issue as only limited space available. I really enjoyed my stay and will return. This hotel may look a little out-dated from the outside but once inside your spacious room with the muted and fresh décor and new furniture, the overall effect is quite delightful. Although situated on a fairly busy street the noise is never distracting, even at night. Double glazing? 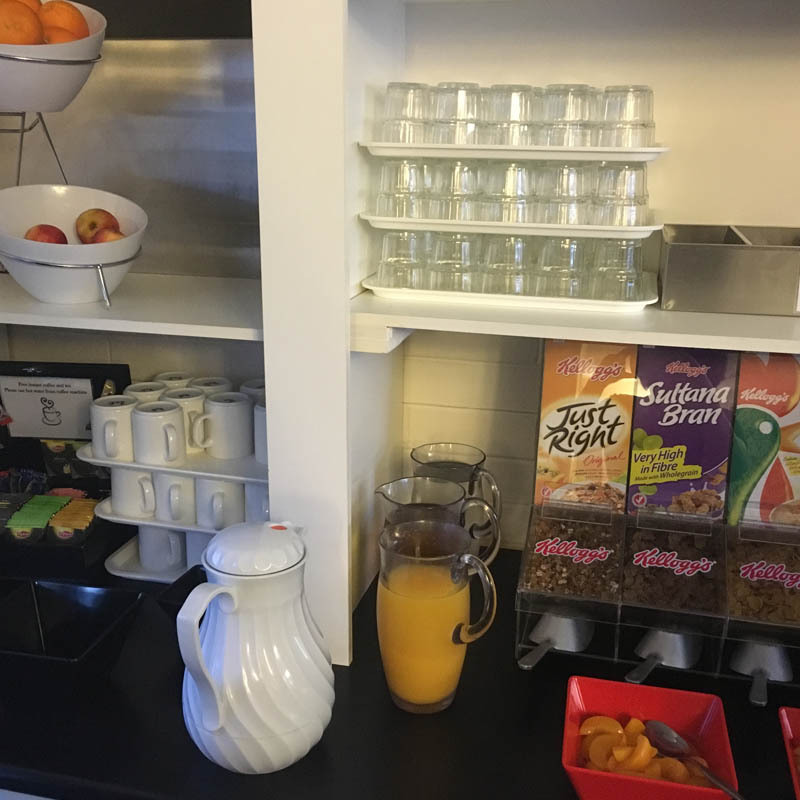 Throw in the complimentary continental breakfast, free Wifi, free parking, laundry, Bar and evening meal option plus the free city "CAT" bus at the front door and what more could you want? All for a really budget price. 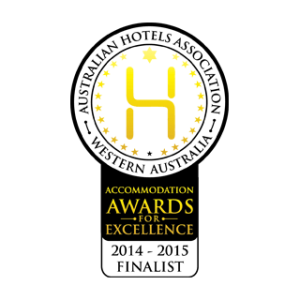 We have stayed there before and it only gets better with the staff being so helpful, friendly and always amusing. A really great deal. We stayed here for 2 nights in November 2017. The rooms are a great size and spotless. The bed is super comfy. They have a pool and happy hour from 5 to 6pm were they give you a free drink and the staff are very friendly and chatty. Its close to the city with a fee bus right outside the door. 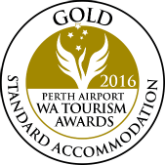 We thoroughly enjoyed the stay and will definitely come back again next time we're in Perth. The only feedback I can give you regarding our last stay was that everything was perfect ! My colleague from Melbourne travels frequently within Australia and at least 4-6 overseas trips every year. 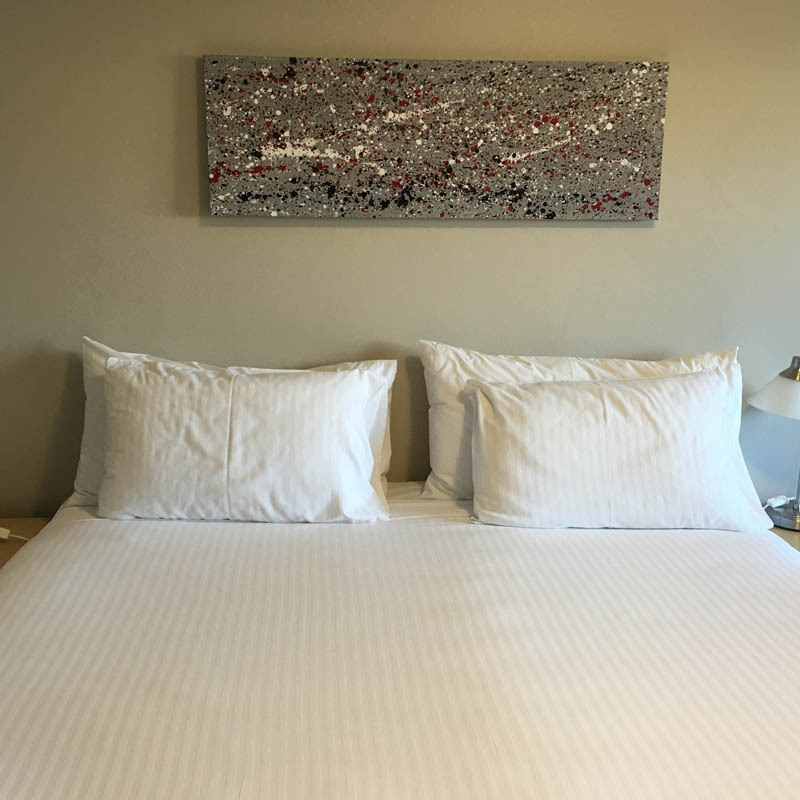 Her exact comment in regard to the stay at the Murray was "first class accommodation" and I am glad to advise we look forward to booking the next trip with you again. Staff knowledgable and friendly. Rooms spacious and clean. Restaurant and bar downstairs. Food and beverage selections limited but adequate. All round good value. Perfect location. CAT bus stop in front of building. 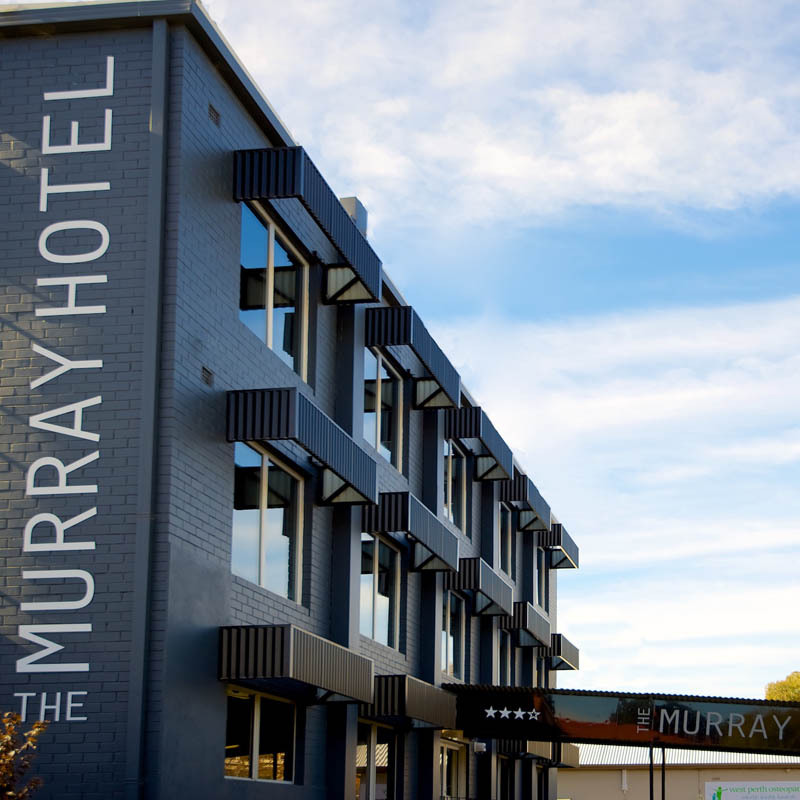 We stayed in the Murray Hotel for 3 nights and I am very delighted with my experience here. 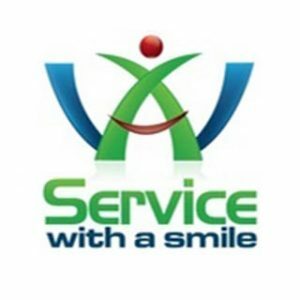 You have great receptionists that remember the guests' names the next time they see them, always greet guests with a smile, and are very helpful to introduce them to the city, finding things to do, and making their trip memorable. I am very grateful to their pointing out to us the free cat buses outside the door as a great way to go into the city centre. I would say the epitome of good service. 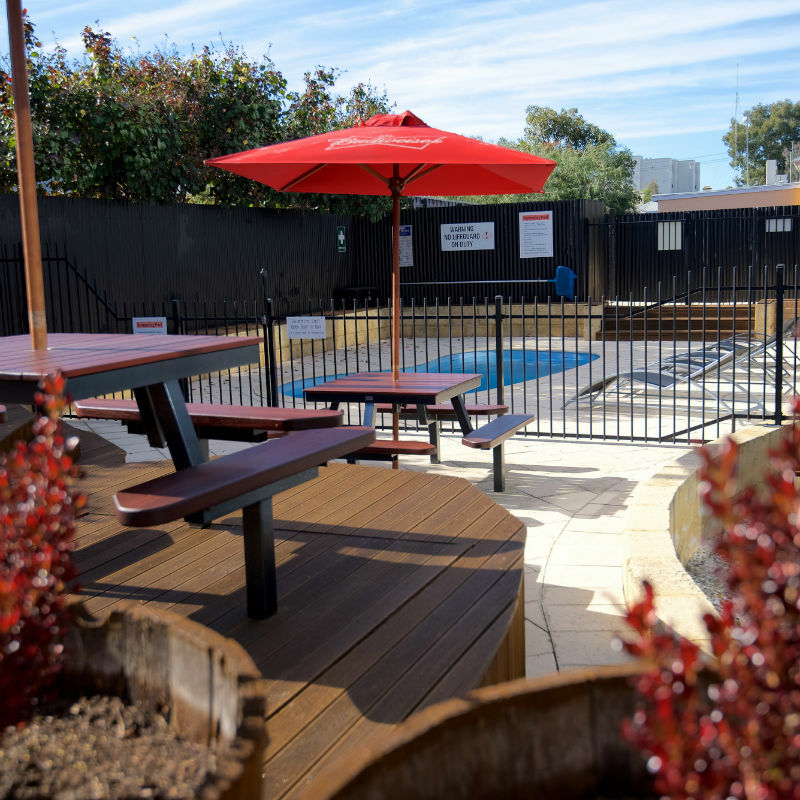 Great location for a night at the football being only 800m from Domain Stadium and the Subiaco night life. Room was clean and very comfortable, and with breakfast included made it great value for money.